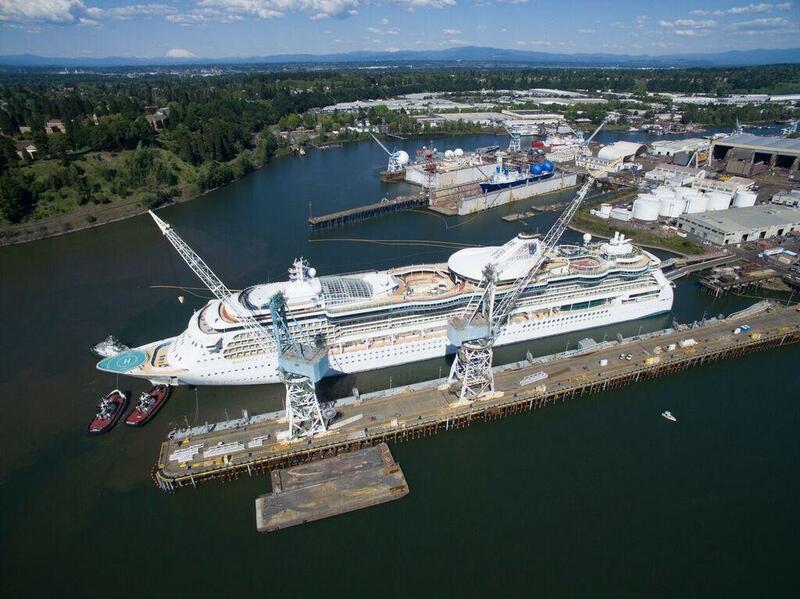 Earlier this month, Royal Caribbean completed a 12-day refurbishment of Radiance of the Seas at Vigor Industrial, in Portland, Oregon. There was also work done on steel replacement and general maintenance propeller work. The work was completed prior to Radiance of the Seas' next deployment to Alaska, where she will offer cruises to the Alaskan wilderness. The 2,110-passenger capacity cruise ship weighs 90,000 tons and is 961-feet long.